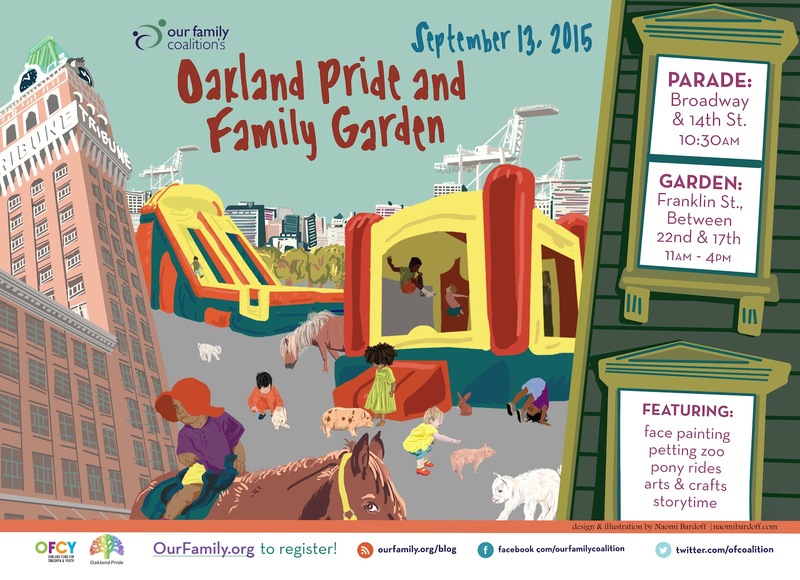 Here are the postcards I designed and illustrated for my organization's Oakland Pride Parade and Family Garden! It's a family-friendly space in the midst of the festival, with bounce houses, petting zoo, pony rides, arts and crafts, and more. Check out the Our Family Coalition website for more info. Above is the front of the postcard, which was also the basis for the other promo we used for this event. The goal was to be definitively Oakland while also showing the fun activities kids will have. 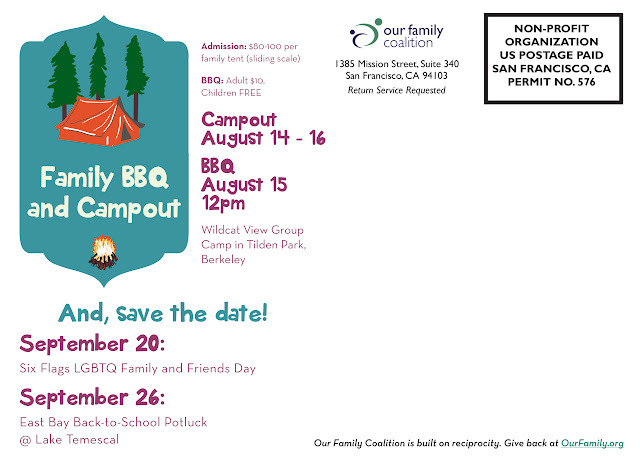 Directly below is the extended graphic for the Family Barbecue and Campout we had in August. Following is the back of the Oakland Pride cards, with a save the date teaser for the BBQ. Your child's were bored when they played more time on same type moonwalks. For that rent inflatable moonwalksinflatable moonwalks which are designed by many colors and different shape.